Apple cider vinegar is one of the best superfoods you can add to your diet. 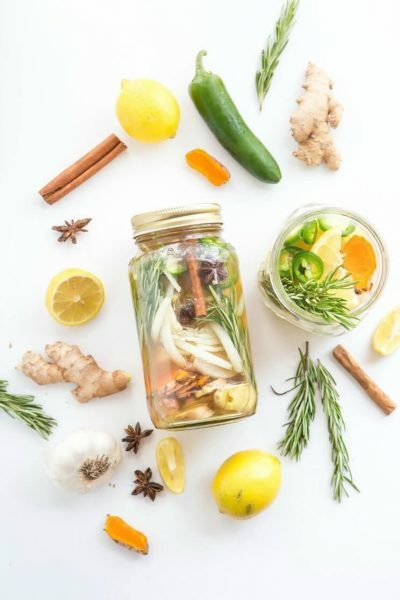 This powerful vinegar is a fermented liquid that offers many health benefits, including detoxification, the reduction of inflammation, and digestive relief. While its strong flavor might take some getting used to, there are many easy ways to drink apple cider vinegar. In fact, we rounded up our favorite apple cider drink recipes below. You can make them all in a cinch, and they’re packed with ingredients that’ll boost your health. Spread the word about this amazing secret recipe. It packs a great range of flavors, such as lemon juice, ginger, cinnamon, cayenne pepper, and honey. This easy morning recipe actually promotes weight loss. 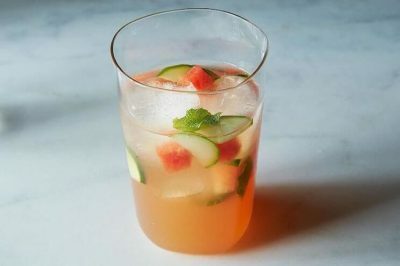 Add a bubbly kick by using sparkling water. A spicy mixture of horseradish and habanero peppers bring this drink up a notch! Honey, cinnamon, and a little heat make this hot tea perfect for a chilly, rainy day. Clear up congestion with this natural remedy. Crisp and refreshing, strawberries and mint bring a touch of sweetness to this elegant mocktail. 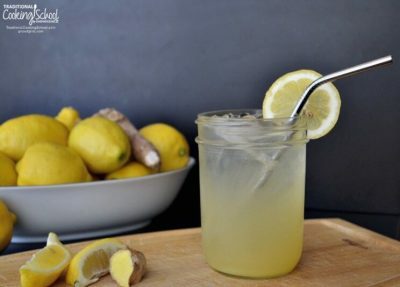 This invigorating drink is just the thing to sip on during a warm, sunny day. A switchel is an old-fashioned refresher, which dates back to colonial times. 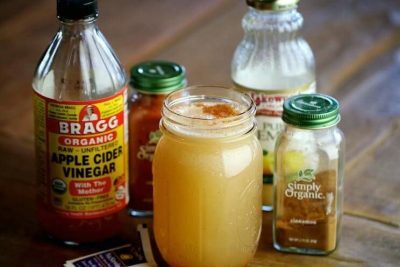 Whip up this classic drink with just apple cider vinegar, maple syrup, ground ginger, and water. A deliciously sour treat, which you can sweeten up with a dollop of honey. 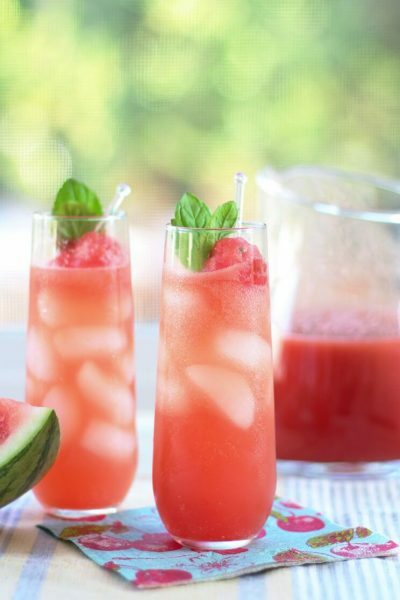 This recipe boasts the fresh, summery flavors of watermelon. Here’s another switchel that makes use of honey. It’s a simple way to get some bold flavors. Add seltzer to taste, depending on how diluted you like your drink. 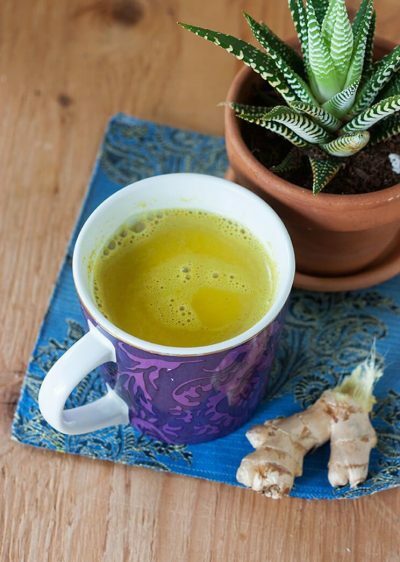 Help relieve symptoms of indigestion and bloating with this rich latte. A pairing of apple cider vinegar and kombucha is packed with health benefits for your digestive tract. Add some ice water, and you’re all set. Add some berries and basil to your apple cider vinegar. It’s sweet, tart, and tangy—all in one glass. For a fantastic liver cleanse, juice some cranberries, squeeze some lemon, and sprinkle in a couple of B12 drops. This drink is an exotic way to get your daily dose of apple cider vinegar. This drink includes passion fruit, honey, and basil. A lemon-y fresh drink with Himalayan sea salt and cayenne pepper. It doesn’t get much easier than this recipe. 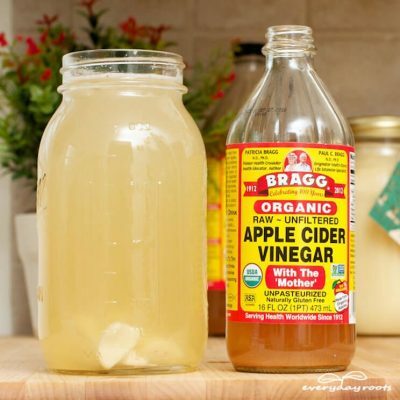 Simply mix apple cider vinegar and water! Apple cider vinegar can be served at parties too! 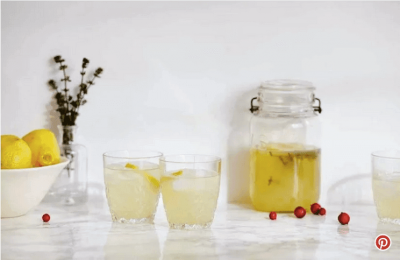 To create this sweet-and-savory drink, mix lemon juice, water, vodka, honey, apple cider vinegar, and fresh thyme. Here are five different, easy ways to make apple cider vinegar shots. Whether you make yours with cranberry, tomato, or grapefruit, they’re all tasty in their own way. Dubbed the ““the ultimate flu-fighting torcher,” this cider can help give your immune system a boost! The secret to this yummy cider’s creamy texture? Avocado! And for a little extra flavor, sprinkle cinnamon on top. Paleo-friendly soda naturally sweetened with maple syrup and vanilla. 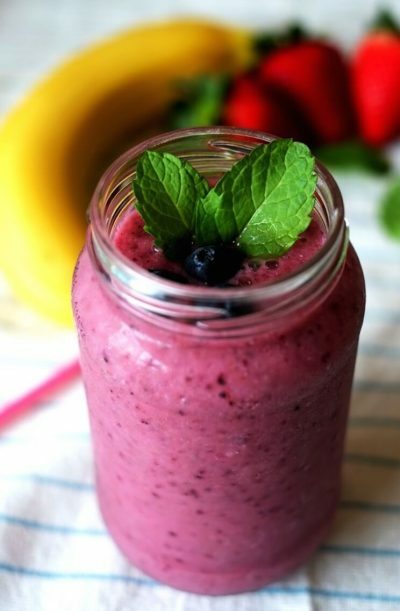 Apple cider vinegar gets a sweet upgrade with fresh blueberries, strawberries, and bananas. Thanks to the cinnamon, nutmeg, and ginger, this recipe tastes like drinkable apple pie! 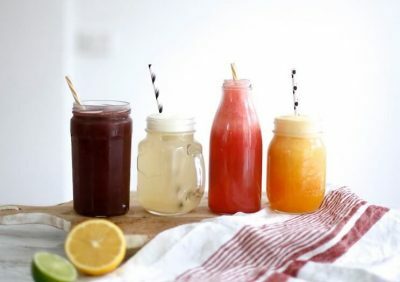 Drink this tropical mix in the morning for an early boost of energy! 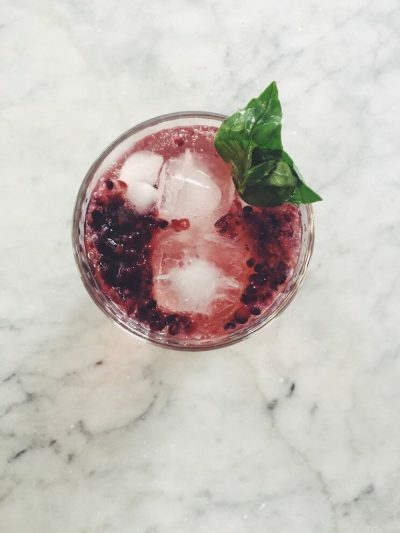 This berry concoction is almost too pretty to drink. Almost. Almond milk makes up the base of this smoothie, while protein powder helps keeps your cravings at bay. Acai and blueberries pack this recipe with antioxidants to create a clean mid-afternoon treat. Along with great flavor, this recipe has a bright, pretty hue. And it only requires four ingredients—making it quick, easy, and delicious. Fresh pineapple juice, honey, lime, and apple cider vinegar create the perfect balance of sweet and tangy. This drink is not for the faint of heart. Turmeric and cayenne come together for a detox that packs a spicy punch. To give this drink a slight pop of sweetness, add a little honey. Apple, pear, cucumber and kale blend together for the ultimate green drink!